Today is the best I have felt in awhile. It’s one of those realizations where you don’t know how bad you were feeling until you start to feel good kind of realization. When asked how I was doing, I simply said, “today is a good day.” I actually worked six hours today and was not too tired at the end of the day and for once I didn’t need to take a nap after taking a shower. Interestingly enough, the fatigue has been a fun symptom – one minute I am alert and ready to go, the next I can fall asleep at a moment’s notice. I am still a little scared. What will my next bout of symtoms look like? I can easily see myself being dismissive of them. What is that fine line of recognizing its just a bit of a twinge or knowing that its the start of another episode? Additionally, I am a leo, who also happens to be a high achiever. High achievers need to be measured and my measuring stick is my job. I identify with it, I love being part of the backbone, the consistency…what happens when I don’t feel like I can be that? In the midst of my recent craziness, I was still checking and responding to emails – even if it meant typing with one finger and closing one eye in order to see the screen. I didn’t want to be seen as not pulling my weight. I shake my head now thinking about how I even paired an infusion appointment with a delivery to our mailhouse so our organization stayed on track and no one had to go out of their way– who does that? Me, apparently. Alot of people have been shocked by the initial diagnosis…none more than me…but even with all the conflicting information out there, it seems like one consistent thing to keep the symptoms at bay is good nutrition. There are several things recommended to avoid. Of specific mention are white sugar, refined flours and saturated fats–(sigh)– the best desserts are made with all of those! Earlier this year, I starting to eat “cleaner” so some of it isn’t that much of a change for me but realizing that every bite means I am either feeding the disease or fighting it gives me a bit of a new perspective. I try not to think of all the days that lie ahead but rather just focus on the one that is in front of me. Tomorrow I have a video conference call with our former Arizona nutritionist. M met her during one of his physical therapy appointments and she used to come to our house. The reality for us was that trying to save money where we could meant taking advantage of a program at our local food bank. While we would come home with a lot of food most of it was bakery items, canned meats, sugary drinks, and lots of pasta noodles. If you were to look in our pantry at the time, you would have found plenty of refined flour products, lots of sugar, and plenty of things highly processed…but things that were just pennies on the dollar. We once told her during a home visit that eating healthy was expensive and she remarked, “do you know how expensive a heart attack is?” Ha! Be it known that I have never used that excuse again. I am just going to have to make myself pause and remember that I am the only one responsible for me and normal will no longer be normal. Well, as I’ve said before, we all have a story. My book just got a new chapter and I will start from the beginning. Pack a lunch because this is going to be a long one. On May 18th, I realized I lost my sense of taste and smell – it was gone- literally gone. I thought maybe it was because I had eaten some rancid nuts the night before. My co-worker thought as much, I thought as much, my parents thought as much. I also noticed that the whole left side of my body felt numb. I could feel pressure but I couldn’t really distinguish a rough or soft touch. I consulted Dr. Google but I really didn’t match anything because I didn’t fit any of the symptoms – the loss of taste could be an allergic reaction, and I didn’t have a pins and needles sensation. My boss & coworker encouraged me to call my real doctor which I did and they were pretty casual about it so I was casual about it and had an appointment with Dr. R for the following Thursday. I went to work the next week and noticed that my writing was a bit off — just not as fluid but couldn’t really pinpoint anything except it seemed “off” and my eyes just didn’t seem to want to work together. When I saw the physician’s assistant that Thursday, she asked me all the normal questions related to stroke and determined that I didn’t have a stroke and not really knowing what to do she checked with the doctor who wanted me to get an brain MRI. So I made my appointment for the following Wednesday. I had planned on taking the Friday before the holiday off so that I would get a four-day weekend. Each day of that 4-day weekend, my vision got worse. I started becoming dizzy, unstable, and started seeing double. I put medical tape over one eye to keep the double vision to a minimum. I was a site to see trying to walk the hallway – bouncing off the walls! On the Tuesday after the holiday, I returned to work – mind you, it is a crazy busy time for my desk and there were things that had to be done. But when I got to work, I started to cry — I shouldn’t have driven, I was having a hard time seeing, my body was numb, I still had no taste and consequently no appetite, and a new symptom–my right (dominant) hand was having a hard time using the mouse – critical to my work load. My boss kindly “asked me to go home” and we had a not-so-fun conversation. I later learned that she had talked to my co-worker and the big boss and wanted a note from a doctor that I was OK to return to work. Plain and simple, she was really worried about me. She encouraged me to go to see Dr.R sooner but my MRI was the next day and he wouldn’t know anything until the results were returned to him 48 hours later and I was scheduled to see him on Monday anyways… so again, I was following his lead- very casual. I had already planned on switching doctors anyway and in the meantime was scheduled for a new patient visit with Dr. H the second week of June. So I went to my MRI appointment and then thought since Dr. R won’t give me a work release because I really didn’t emphasize the trouble with my eyes, I would go see Dr. C, my ophthalmologist. They got me right in on Thursday and after checking my vision and sharing that I had a fourth-nerve palsy said to me “I’m going to fax Dr. R a note right away and he may want to see you sooner or send you to a neurologist. He will have this note in an hour”. I have to admit that was the first time I got a bit nervous. No one had considered it that urgent previously. I still didn’t get my work release! I invited my boss to my follow up appointment with Dr. R the following Monday so that she could make sure I was OK to return to work even if I had to be driven everywhere and was wearing a fancy adhesive eye patch (ahoy matey!). Dr. R was again casual not having even looked at the MRI results or even aware that Dr. C had faxed a note on the Thursday prior. As he read the notes of the MRI he started mentioning things like “lesion, right lobe, swelling, demyelinating disease, MS, palsy, Lyme disease. He asked me which neurologist I would like to see (as if I know of a neurologist?!) and my mom, boss & I agreed we had heard of the doctor on Baxter Street. They were going to fax over the paperwork to them and that neurologist’s office would call me to schedule and appointment the following Friday – a week later. *For the record, I called them not hearing back and noticed that I was actually scheduled with Dr. E at a completely different neurologist office and they didn’t have anything from Dr. R’s office so I called Dr. R’s office, asked that the referral be resent and when Dr. E’s office called they only had the 21st open, so I took that date. I share this only because this is really where I start to see God’s hand in play. The following Tuesday was my appointment with Dr. H. As I had discovered just a few days prior, she was married to Dr. E! She took one look at my new patient paperwork, asked a few questions and then promptly said to me, “You need to see Dr. E sooner rather that later,” and she called Dr. E’s office and got me an appointment for the next day! Oh, hello Jesus. On Wednesday… now a full month of little to no taste, minimal feeling on the left side of my body, double vision and tremors in my right hand, I finally saw a neurologist. He showed me the video of my brain and two lesions on the right side which were causing my left side problems and lack of taste issues. He said the right side problems were a “leak-through” problem of the right side lesions and it could just have easily affected my mobility or speech. He sent me out with a stack of paperwork about 1/4 of an inch–saying that he wanted to rule out MS and lymphoma. Lymphoma! That wasn’t even on my radar — it was the first time I cried – and I tear up now feeling those emotions again. He wanted an urgent MRI of my spine to see if there were more lesions present and an urgent request for lumbar puncture. The past two weeks have been a whirlwind. I have been paying people to poke me with needles – whether it be blood, contrast for the MRI of my spinal cord, or the lumbar puncture. I received a voice mail from the nurse –good news! The nurse doesn’t call with bad news–that’s the doctor’s job. Turns out my Vitamin B test came back low and I just needed to take a B-Complex with B1 and B12. I was thrilled to hear this. The eye doctor could also fit me for a prism lens which would help that fourth-nerve palsy. She said the doctor would be in touch as the rest of the tests came back. And at 4:30 that same day, I got a call from Dr. E directly. 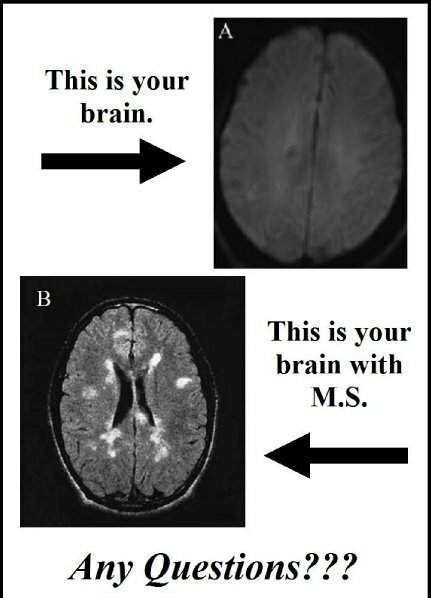 Two of my labs came back abnormal -two that were prime indicators of MS, two letters that have changed my world the past couple of days. He said that based on those initial tests & his experience, he recommended I get in immediately for three days of an infusion drip of a strong steroid to see if we could lesson the symptoms — but the anticipated long-term prognosis remained — multiple sclerosis. So yesterday, today and tomorrow I sit in an infusion room getting my drip. I have a port in my wrist so that they have only had to prick me once. On the plus side I have a cool looking Michael Jackson medical gauze glove! But my eye-sight has improved, my hand tremors have stopped, my feeling and taste are back. The doctor is waiting for a few more cultures to come back but so far all arrows lead to MS. I’m not the typical candidate but then again who is? Like cancer, it doesn’t discriminate and what I can do now is manage they symptoms and try to control my body from destroying itself. The doctor, based on my labs, does not feel its infectious, viral, or bacterial. Mine is likely the result of an auto-immune attack. To those who would say that I don’t deserve this, I would say I agree but here it is- the start of my new chapter and while it caught me by surprise it didn’t catch my God off-guard. He is still the same God yesterday, today, and tomorrow. And He is still a God of healing and miracles.